represents the industry standard in bond testing. Ribbon pull �C With an extensive range of load tools including hooks and tweezer jaws, all sizes and types of ribbons can be tested. Hot bump/pin pull �C A new load cartridge makes this groundbreaking test even better, especially for evaluating PCB substrate materials and low profile solder bumps. First bond ball pull of copper wires and pull of studs, bumps and pillars �C For the first time custom pull jaws enable tensile tests on these important interconnects. 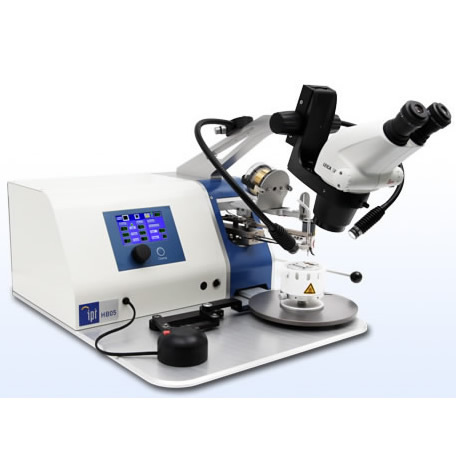 Fatigue pull and shear �C Fatigue analysis is emerging as an increasingly important method in evaluating solder joint reliability. A mix of software control and hardware enables fatigue testing in both pull and shear modes. Passivation layer shear �C A combination of software and a special load tool provides a solution to ball shear where access is limited by the passivation layer.